“’Poverty is a business,’ Patricia Wolff, founder of Meds & Food for Kids was quoted as saying in a 2010 New York Times article about a nutritional, peanut-based paste that has transformed the treatment of acute malnutrition in children. She got a lot of flack for that quote, but I think that she was on to something. Over the past few years, I’ve become increasingly inclined to prefer hand-up’s over handouts. Calling poverty a business might be punchy and inflammatory, basically asking nonprofiter’s and proponents of aid to rip into it, but it’s a statement that’s more about sustainability than profitability. When I was in Haiti a few weeks ago, I had the opportunity to visit two nonprofits, including Wolff’s Meds & Food for Kids, that are using sustainable, business-minded models to address poverty in a country where many more traditional non-profits have failed. Meds & Food for Kids produces Ready-to-Use Therapeutic Food (RUTF), or “Medika Mamba” as Haitians call it, in Haiti, with Haitian workers, using Haitian raw materials whenever possible. Their products are then sold UNICEF, the World Food Programme, and clinics, and distributed around the world as part of Nutriset’s PlumpyField Network. Visiting the Meds & Food for Kids factory, it’s pretty easy to forget that you’re in one of the poorest countries in the world. Their state-of-the-art facility has, according to Wolff, passed four international food safety audits and they are the only NGO in Haiti to even request to be audited. 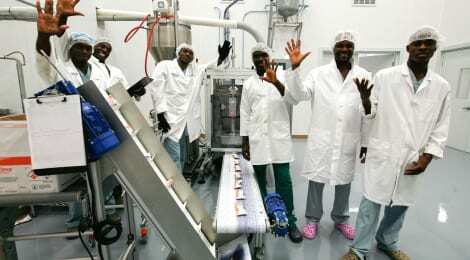 Workers oversee production in white coats, hairnets, and crocs, part of a team of up to 56 Haitians that are regularly employed by the nonprofit. Around the factory are fields where agricultural techniques are tested and perfected, the knowledge then passed on to the more than 2,000 farmers who have been trained by Meds & Food For Kids to grow Medika Mamba’s most iconic ingredient – peanuts. 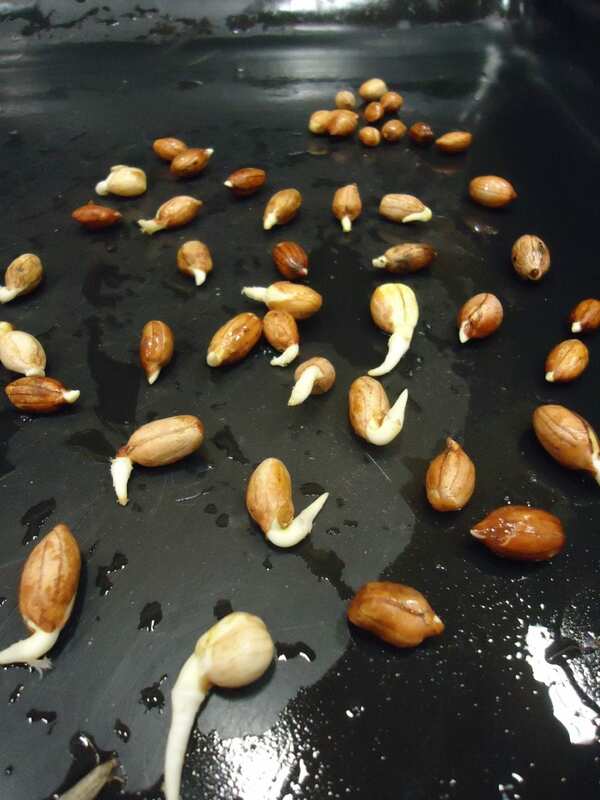 While Meds & Food for Kids’ product uses the inside of the peanuts, a portion of the peanuts shells are given to SOIL, another local nonprofit that is thinking about sustainable development from a business point of view. Sustainable Organic Integrated Livelihoods, or SOIL, aims to promote safe and sustainable sanitation practices that are accessible to Haitians, while also proactively improving the local environment. Their product is two-fold. First, they ‘rent’ composting toilets to Haitian households for a small monthly fee, picking up waste on a regular basis. That waste is then turned into high-quality compost that is sold to farmers, increasing their yields and keeping their fields healthy. Over 90% of SOIL’s staff are Haitian, and business is conducted in Haitian Creole, facilitating upward mobility for Haitian employees and integration into the communities in which they work. While SOIL and Meds & Food for Kids’ products are very different, they both required the communities in which they work to ‘buy into’ their mission. Rather than arriving, handing out freebies, and then leaving, they’re investing in Haiti, and asking Haitians to invest in them. Often misconstrued as exploitation of the poor, asking someone to pay a small and affordable price for a service shouldn’t automatically be seen as a bad thing. It creates, a representative from SOIL asserted during our tour, a more equal playing field where both sides are part of an exchange, buying into each other’s vision for the future. After receiving a tour of the Medika Mamba factory, Patricia Wolff took us upstairs to taste the product. “It is absolutely a social enterprise,” she said, emphasizing what was already quite evident – that seeing poverty as a business isn’t always a bad thing, and that the most sustainable way forward in the developing world is often a hand-up, not a handout.” -Pippa Biddle, August 18, 2015. Read the full article here. Want to see more of SOIL in the news? No Replies to "Pippa Biddle: Seeing Poverty as a Business Isn't Necessarily a Bad Thing"